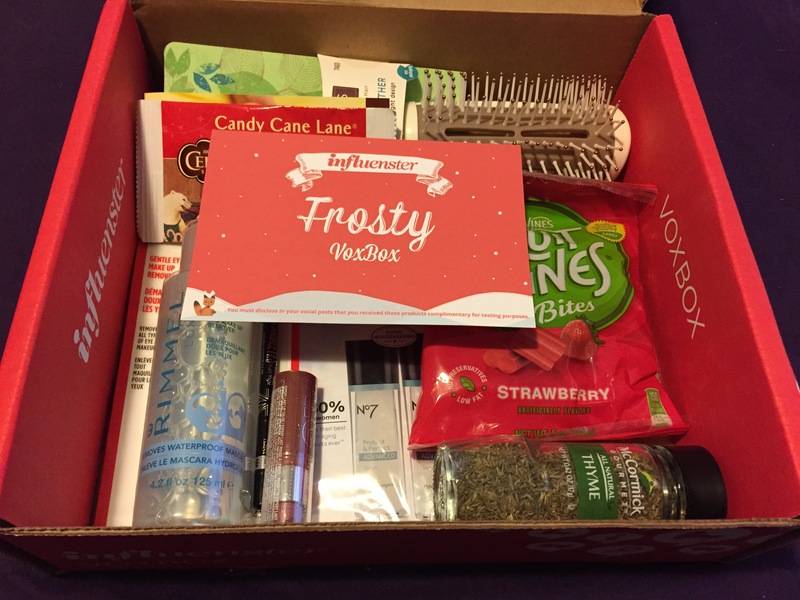 Influenster spoils me more & more with each VoxBox they send me. If you don’t know what I’m talking about, you should check out Influenster.com or my other posts on what they sent me- #1, #2, #3 or #4. They are a really great company that teams up with other really great companies to share brand new products with the public for testing! All you have to do is try the things they send and review it on social media! It’s SO EASY, people!! Since there are so many products, I’ll just do a quick picture and synopsis of each product- except (spoiler alert) they were all pretty great. 1. 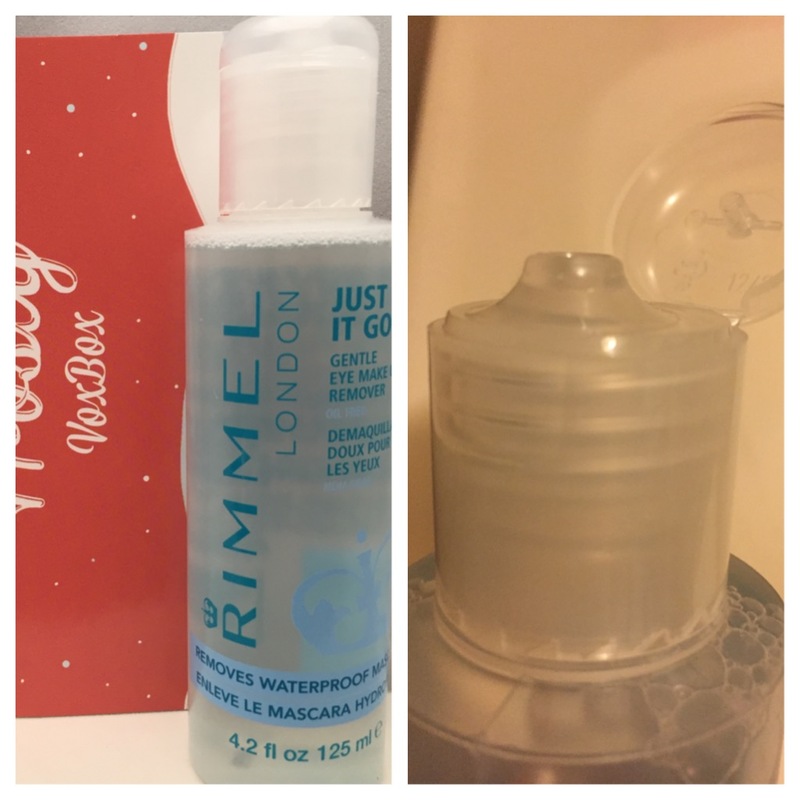 Rimmel Gentle Eye Makeup Remover: They weren’t kidding when they put the word “gentle” in the name of this. It doesn’t sting your eyes at all while effectively removing your makeup! There is no oily reside leftover either. I really liked how the cap is shaped on this too. It lets just enough liquid out at a time without spilling or making a mess. What more could you want? 2. 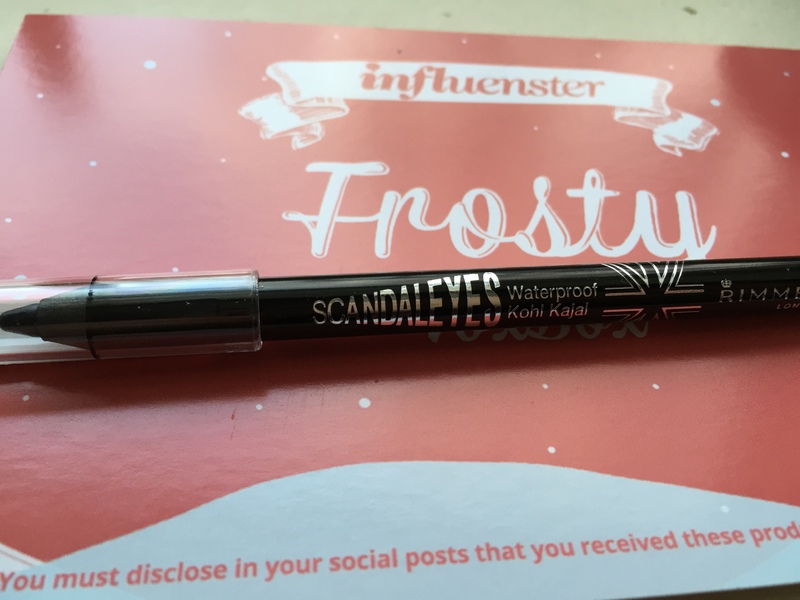 Rimmel Scandaleyes Waterproof Kohl Kajal Eyeliner: This eyeliner is fabulous! It’s soft and rolls on smoothly. It comes off easily with the Rimmel Makeup Remover. I didn’t like the jet-black color, but I am definitely going to try it in a color that works better for me. 3. 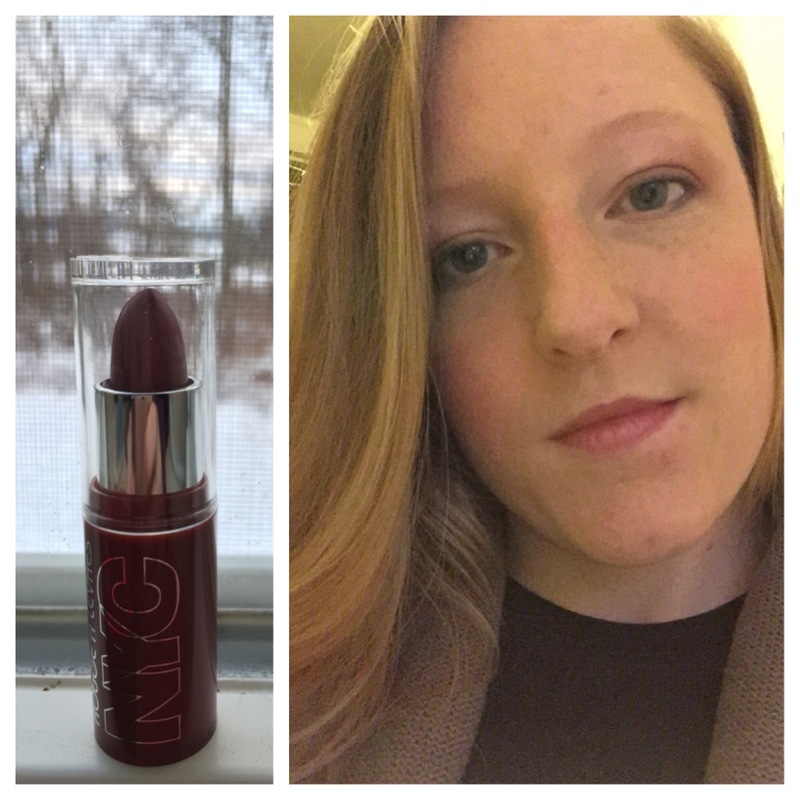 NYC New York Color Expert Last Lip Color: For someone who 99% of the time does not wear lipstick lip color, I’d say this is a very nice one to try. It’s not too flashy or bright which I like, but just adds a bit of classiness. 4. 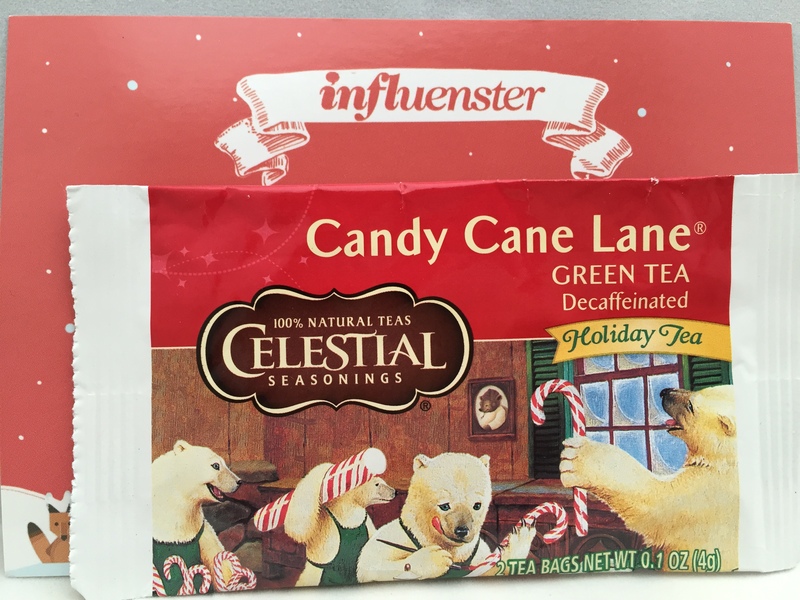 Celestial Seasonings Candy Cane Lane Decaf Green Tea: This was a nice treat around the holidays; warm, pepper-minty, and soothing. I liked it, but I really have to be in the mood for peppermint to enjoy the minty flavor. As for being decaf and green tea- now THAT I LIKE! 5. Boots No7 Protect & Perfect Advanced Serum: I liked trying this product. It was very rich lotion basically. I, unfortunately, have JUST found another lotion that I love… but this one gets such good reviews I’m going to use the extra coupon that come with this for another, more longer try. 6. McCormick Gourmet All Natural Thyme: Seeing as I’m not a very good cook (actually I’m horrible)- I’ve never used Thyme before. I tried this out with a simple recipe of white rice, lemon zest, and Thyme. It was a great way to test the flavor & now I can’t wait to use it on other things. 7. 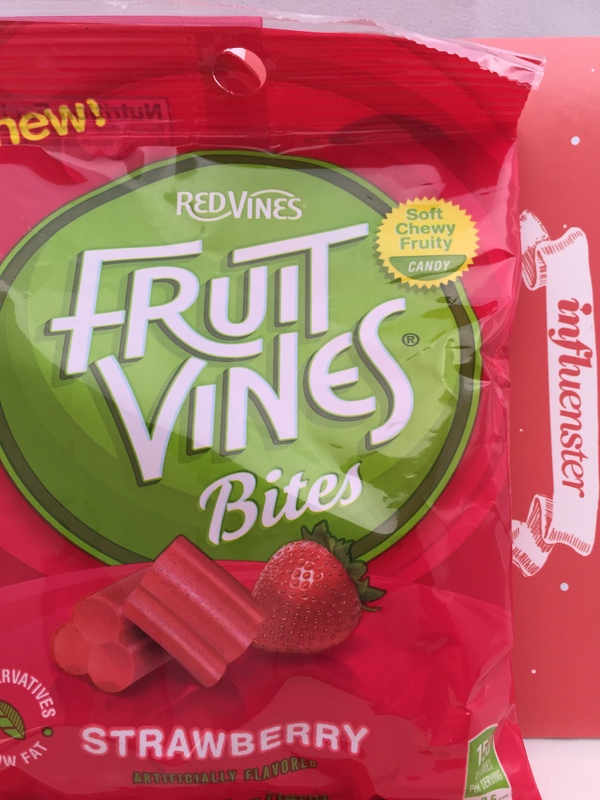 Fruit Vines Bites Strawberry: umm… these were SOO GOOD!! I thought they would be a weird off-brand type of licorice, but no. They were so yummy! I would definitely recommend the strawberry flavor to anyone who needs some chewy treats. 8. 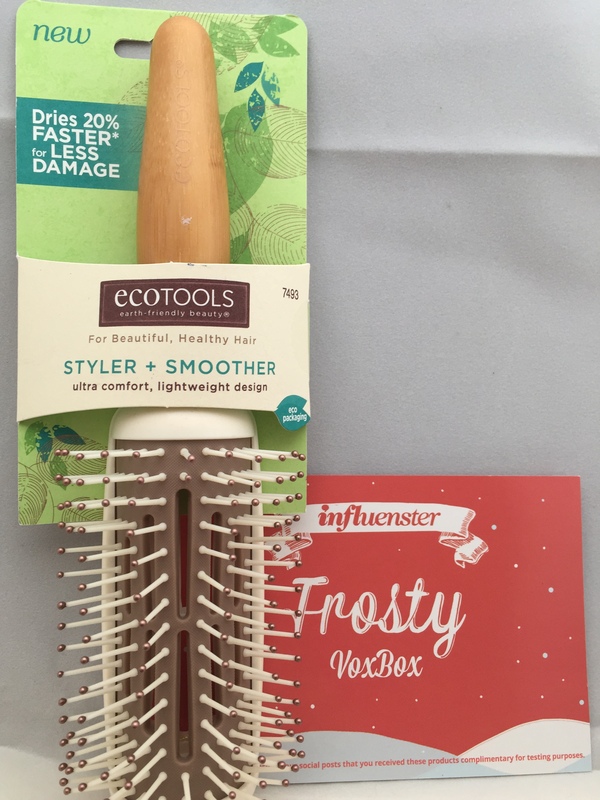 EcoTools Styler + Smoother Brush: This brush is GREAT! I have a lot of hair, so I know a good brush when I use one. It’s nice because it has soft tips and helps untangle hair easily, but my favorite part is how it’s curved! No more using an annoying round brush! It’s like 2-in-1. 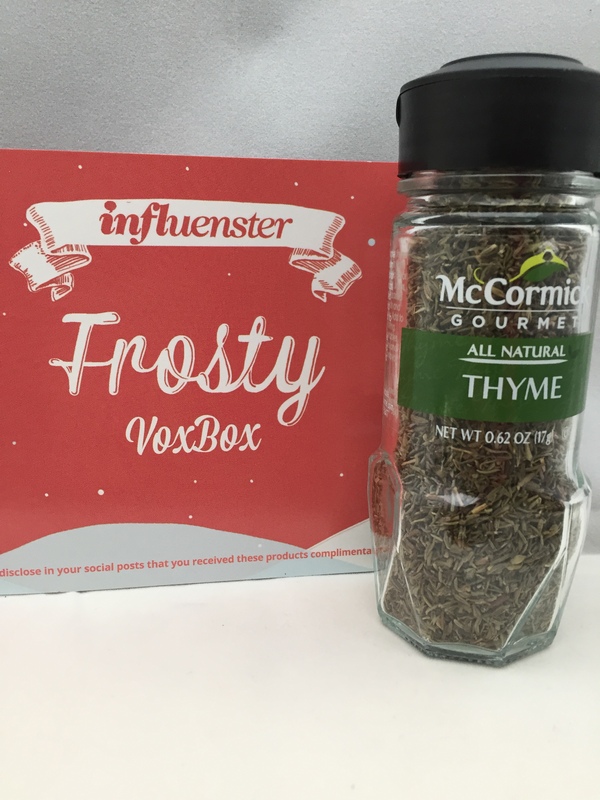 This is by far my favorite product I received in the Frosty VoxBox. So, there you have it. All the products I got to test for FREE and now I get to keep them & brag about how fun it was! 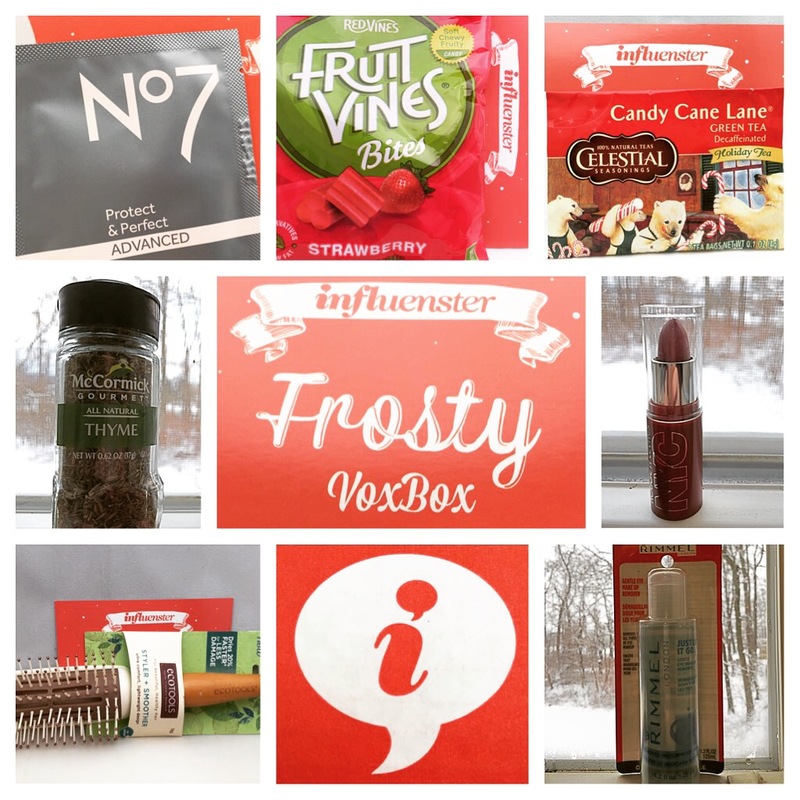 I’ve never heard of Influenster but it seems cool! Are the products mostly beauty products? I think Piper would like help me become a social media reviewer of new dog treats, toys and other doggie products! 😉 I’ll check their web site out. Do you pay anything to get the boxes or they just require that you post a review within so many days? They don’t just do beauty products! They do all sorts of stuff.. some boxes are specifically for moms, brides, college students, etc. It’s always different. I know they have a few categories about pets & for pet lovers, so maybe Piper will get lucky! I’ve heard of BarkBox for dogs, but with Influenster you don’t have to pay. You just have to post the stuff they ask for on social media within a time limit. They were so fun to try out!